Here is what I've been working on lately. 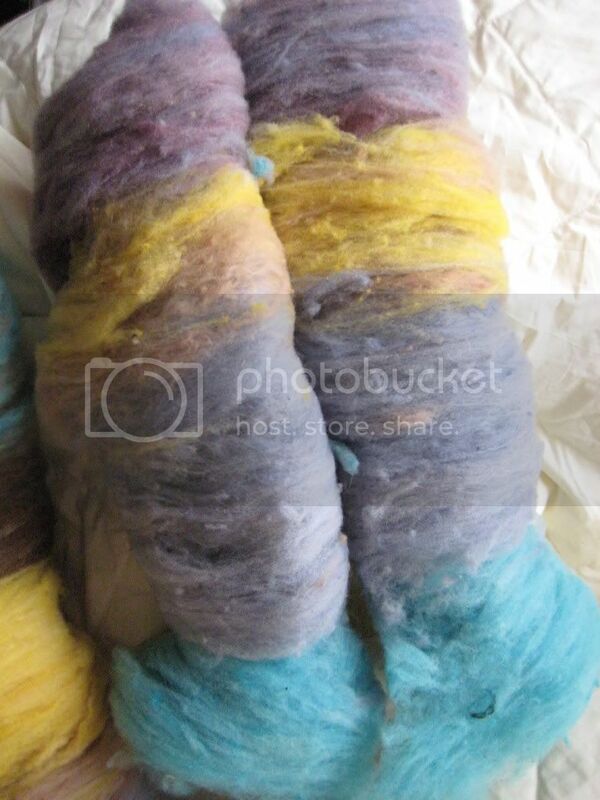 I bought two pounds of raw Targhee which I washed, dyed, carded myself. I'm pretty proud. 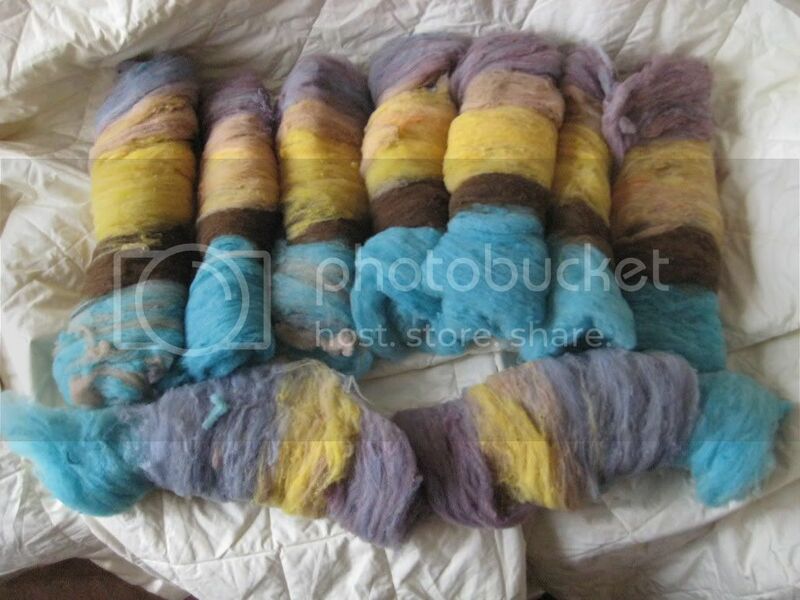 Thanks for looking and keep an eye out on the fiber friday thread to see these all spun up. 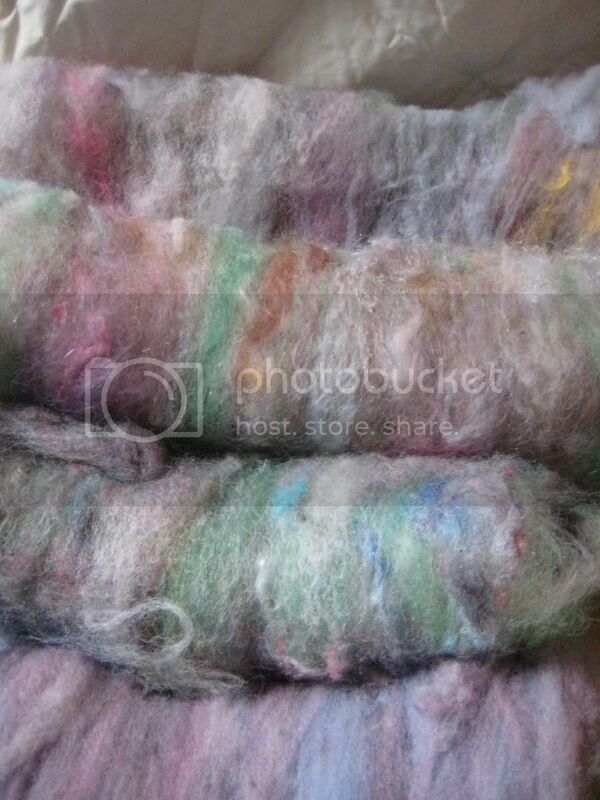 I love the colors of the Targhee batts. Can't wait to see what they become! 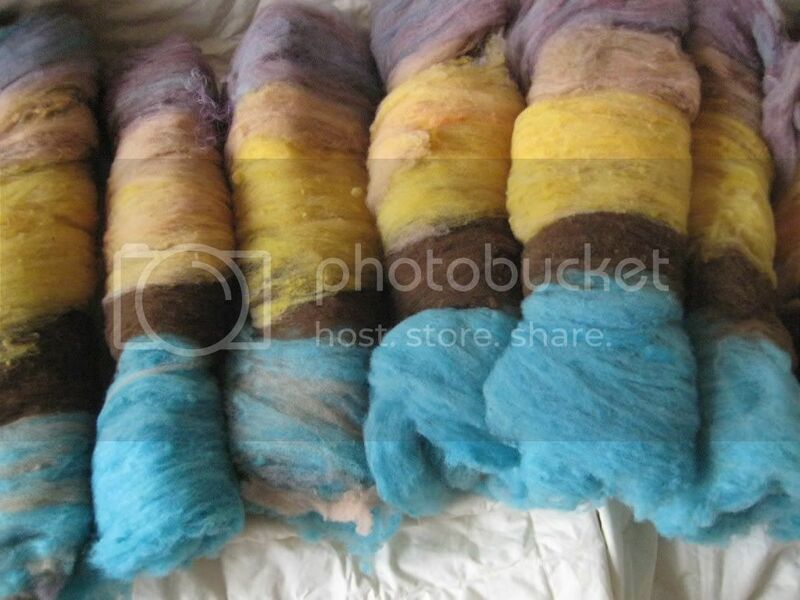 I'm really curious what they will look like spun up.. I want to hug them all! Looking forward to Fri!